Elsa starts school this week. I genuinely can’t believe that we’ve reached this milestone already. And I know that pretty much every parent of a new reception kid is thinking exactly the same at the moment, but I’ve started typing now, so I might as well finish. I probably need to get this out of the way before I delve into making sense of this confusing mixture of feelings. I have been a slack blogger (which sounds like it could be a Shakespearean insult). 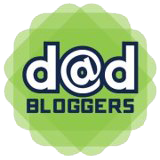 This bit of the site (the actual dad blog bit) has been pretty much neglected since just after Seth was born. Mainly because Seth was born. It’s quite time-consuming having two kids isn’t it? Whereas there are almost weekly updates on the early years of Elsa, Seth hasn’t been documented to anywhere near such a degree. I just haven’t had the time. It’s my guess that he’ll probably resent this for a bit, before being thankful for it (less ammunition to show future girlfriends). Anyway, with Elsa off to school, he’ll surely play more of a role in future Bewildered Family Guide to Yorkshire videos. I’ve literally bred her replacement. Back to the topic in hand. I’m sorry future Seth, if you’re reading, this is another post about your sister. However, it seems like one of those events that can’t pass without comment. I promise I’ll do a “First Day at School, Second Time Around” article in three years. Whilst I feel this tight knot of *something* in my stomach every time I think about her starting school, Elsa could not be more ready to get going. I coasted through education, doing well but never working harder than I had to. However, my daughter is so keen to learn constantly, and eager to show off her new knowledge. School is made for her and I’m confident she will love it. She’ll also start at the same time as a lot of her friends, so why is it that I am a bag of nerves? I’m not even sure what the feeling is when I contemplate her beginning her formal education. I guess it’s a combination of pride that she is so excited, bewilderment that time has passed so quickly, and nervous hope that she’ll settle in quickly. Mixed in with that, there’s the fact that she’s becoming more independent and, as of this week, will spend the majority of her awake time somewhere other than our house. She’s not a baby anymore but, as she would tell you, she hasn’t been for a while. SPOILER – she’s still “our baby” and she always will be, no matter how old she is. I think it’s mostly nerves on my part, and I’m desperate for her not to pick up on that. For her, there is nothing to be nervous about. She’s off to be with her pals all day, doing the sort of stuff (craft, counting, spelling etc.) that she loves doing. Many parents have baggage from their school days, but it is not usually because of these early years. It’s most often rooted in the dreaded teenage period. Whatever it is, it makes us skittish at the mere thought of the break time bell, those tiny chairs and the sight of sawdust-covered sick. The vast majority of kids starting school have none of that and I don’t want her to think there is a reason to be wary. There isn’t any reason to be wary. Of course it’s a big deal, but it’s a big deal to her because it proves how grown up she is. Similarly, it’s a big deal for us because is proves how grown up she is. Of course kids would rather be sitting in their pyjamas watching Why Don’t You (or whatever today’s equivalent is) than doing sums, but there’s loads of fun to be had too. Especially at this stage. Plus, making the most of the time when you have to be somewhere other than at home for a number of hours a day, rather than watching telly in your pants is good practice for working life. I’ve resolved that, in the run-up to the first day at school, I won’t ask her whether she’s nervous; why even introduce that concept? I’ll ask her how excited she is, what she’s looking forward to, what she thinks might be her favourite bit. The nerves are all ours, and that’s how I hope it will stay. PS. You only have to send one of your kids to school, right? The other can stay at home forever? Asking for a friend. I’m not sure I..er…he can go through this again.